Mexico City’s streets are home to a variety of challenges for travelers. Congestion is a main issue - feed by a lack of carpooling or car-sharing, and a underutilized public transportation system. Add to that the high density of Mexico City’s 20 million people, it’s three daily rush hours, and it’s clustered work and entertainment areas, and you’ve got a recipe for not only traffic, but frustrated drivers and increased crime. 46% of homes owned cars in 2010 and the city’s vehicle ownership grows at 2% annually. Visually, it seems that Mexico City streets are made up mainly of privately-owned cars. That - in fact - is not the case. The metropolitan area actually depends heavily on public transport and 81% of all daily journeys are completed by via public transportation. However, the visual use of road space, almost paradoxically, is almost completely monopolized (95%) by private cars. The Hoy No Circula program restricts driving on a schedule determined by a colored sticker based on a vehicle’s license plate number. All vehicles subject to the program are prevented from driving between 5AM and 10PM one day per week, and some or all Saturdays each month. Public transportation, while somewhat dangerous as there is a high likelihood of being pickpocketed, is utilized heavily with about 4 million riders a day, or 1.5 billion a year, the second highest in North America (New York City is first). Most destinations - such as work and entertainment areas - are clustered together, which increases traffic in these areas due to sheer volume as well as limited parking (which further adds to traffic as drivers hunt for parking options). According toresearch by ITDP Mexico, office buildings in Mexico City allocate on average 42 percent of their land to parking spaces to support employees’ current transport habits. The average speed on roads in Mexico City, has dropped to 11 kilometers per hour – around the same as in 1910, when horse-drawn carriages were still on the roads. Safety is a real concern for drivers and passengers alike as it has become unsafe to ride with personal items (such as laptops or other valuables) in view in one’s personal vehicle, or at all on a public bus. Increase vehicle occupancy. (More people in fewer cars). Create a more enjoyable and productive commute that allows using time in a more efficient way. Encourage positive human interactions through a safe and secure transportation. Transportation apps that allow you to quickly call for a taxi-type ride or car service. A shuttle service on demand with driver and “amenities” (food, screens, wifi, comfortable seats, etc.) that caters to the rider. Applications that allow you to estimate travel time using directions and traffic information. Although no specific API or data integration is required, your app must focus on reducing the number of vehicles with only one occupant and should also encourage enjoyable, safe, and efficient transportation that relieves traffic congestion in Mexico City. BlaBlaCar is a trusted community marketplace that connects drivers with empty seats to passengers looking for a ride. Over two million people use BlaBlaCar every month creating an entirely new, people-powered transport network. With dedicated customer service, a state of the art web and mobile platform, and a fast-growing community of users, BlaBlaCar is making travel social, money-saving and more efficient for millions of members. BlaBlaCar’s web service v2 allows authorized partners to search for carsharing trips, just as BlaBlaCar’s website does. The web service is based on REST and is available in both XML and JSON formats. To get access to the API and documentation, please fill out this form. Here are a few additional tools you might find useful. TransitWand, an open-source app for mobile phones, to collect real-time data such as routes, speed, location of bus stops and frequency of train departures. BRTData.org- A public platform to share BRT and high-quality bus systems data. Currently, it has data about 194 cities, serving 32,410,956 million passengers daily. 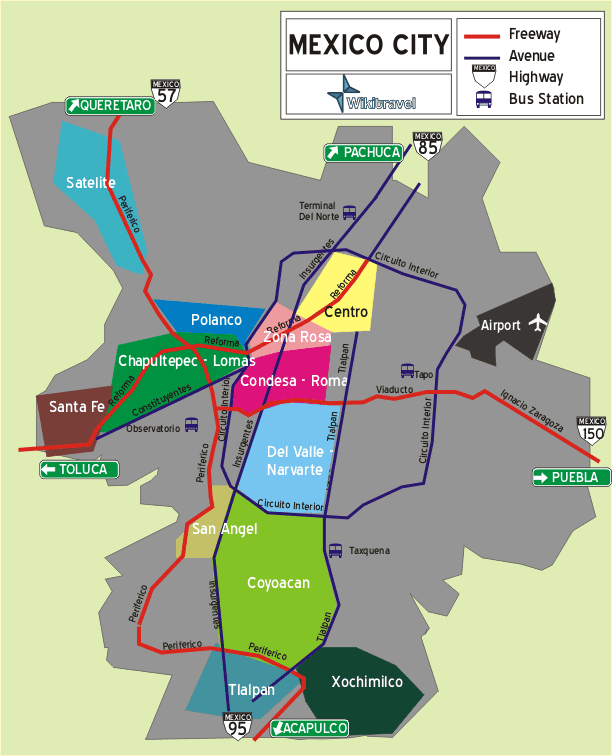 Find out what is near you, how to get there and get around with CDMX’s guide to Mexico City. OpenXC is an API to your car that offers drivers more insight into how their cars run. Using the OpenXC platform, you can access the OpenXC data and start making vehicle-aware applications even if you don’t have a Ford or even a car. Using the OpenXC vehicle interface you can read vehicle data real-time — like the steering wheel angle, GPS position, and vehicle speed. Currently, OpenXC supports over a dozen different measurements on a growing list of Ford vehicles. To get started review the OpenXC site to get access to OpenXC-formatted vehicle data, important documentation, and OpenXC FAQs. Resources for Native Android Apps. For Android app development, make sure you check out the Android Library Setup and App Tutorial pages on the OpenXC site. Please note that if you want to use OpenXC to interact directly with a Ford vehicle, you’ll need to download the closed source CAN translator firmware directly from Ford and sign a developer agreement. Resources for Web Apps and Testing. Crash simulation library: This set of Android code provides crash notifications to the registered applications. You can use this code to trigger crash scenarios and have your application respond to them. Check out theGit repository to view the documentation and learn more. An example of a Web app that can receive OpenXC data, record it to a disk, and visualize it. SYNC AppLink is a suite of APIs that provides the capability for mobile developers to AppLink enable their mobile applications. Developers have the ability to extend the command and control of the mobile application’s features to the vehicle occupants in a responsible, non-distracting way through the use of familiar in-vehicle Human Machine Interfaces (HMI) such as SYNC Voice Command, Steering wheel and radio buttons. The applications run on the mobile device without the need to install any third party software on the vehicle head unit. The AppLink APIs exchange program data as well as command and control information over a known transport layer allowing SYNC to exchange messages with an AppLink enabled application in a pre-determined format. This technology is similar to how Bluetooth phones and digital media are integrated and used on the SYNC production platform. To be eligible, all submitted apps must conform to Ford’s In-Vehicle Approval Criteria for safe and non-distracting in-vehicle interfaces, if the intent is to use the app while driving. For more information, see the national generally accepted principles for in-vehicle interfaces. Get your solution funded using crowdfunding platforms such as Fondeadora. For questions about the Mexico City Mobility Challenge, email support@Devpost.com, or post them to the Discussion Board.